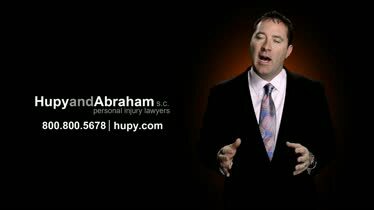 Iowa Dog Bite Lawyers | Animal Injury Attorneys in IA | Hupy and Abraham, S.C.
How Will You Recover From Your Iowa Dog Bite Injury? It wasn’t anything you could’ve predicted, it wasn’t anything you could have prevented, and it isn’t anything that is going to go away on its own. Instead, your Iowa dog bite recovery is going to take work. For more than five decades, our dog bite attorneys have been helping people hurt in dog bites or other domestic animal attacks. We want to start helping you by answering your questions. That starts here with the information contained on this page, it continues in our FREE dog bite brochure, and it includes a free, no-obligation consultation with us if you contact us directly. What Kind of Dog Bite Cases Result in Recovery? Businesses, vets' offices, or retail establishments. Dogs may lawfully be in some businesses, but owners are responsible for the actions of their pets. Parks. Dog owners are responsible for their pets’ actions in public parks. Sidewalks or common areas. Dog owners are responsible for the injuries caused by their dogs on sidewalks or in common public areas. Private homes. Whether you are bit or attacked in the home where the dog lives or in another home, the dog owner is likely liable for your injuries. If you have been hurt by a dog in one of these areas then it is important to know how to protect your recovery and what kinds of injuries you are at risk for developing. Facial injuries. Facial injuries can result in permanent scars and disfigurement that are hard to hide. Infection. Dog bites may lead to serious infections that may require strong antibiotics or hospitalization. In some cases, infections can be fatal. Amputations. An amputation of a digit or limb may be caused directly by the dog’s bite or indirectly by a serious infection that results from the bite. Either way, the dog’s owner is responsible for the injury. Scarring. Scarring may be permanent. Scars can be emotionally challenging long after the initial wound has healed. Nerve damage. The pierce of a dog’s tooth can cause painful nerve damage. Sometimes a full recovery may be possible, but other times the injury is permanent. Death. Blood loss, infection, and other dog bite complications can be fatal. It may not be you who was hurt—it might be your child. Children are common victims of dog bites and animal attacks. If it was you or your child who was hurt by someone else’s dog, then it is important to know how to protect your recovery. How insurance works. In some cases a dog owner’s homeowners insurance may be applicable to your recovery; however, the dog owner remains responsible if there is no insurance policy covering the animal’s actions. How to report the bite or attack. It is important to make a report to the local authorities and to inform the dog owner of the bite or attack. What to do after a dog bite. It is important to protect evidence, get immediate medical attention, and take appropriate steps to protect your physical and financial recoveries. What not to do after a dog bite. Certain mistakes can jeopardize your fair recovery. It is important to avoid these mistakes so that you can get the recovery that you deserve. Then you can make an educated decision about pursuing a claim. How to collect and protect evidence for your case. Before you can use evidence such as photographs, medical records, and eyewitness accounts to prove your claim, you must collect this evidence and preserve it. How long you have to file a case. Typically, the Iowa statute of limitations gives you two years to file a claim, but exceptions to the general rule may apply. If you have the legal authority to file a case. Generally, if you are the person who was hurt by the dog or if you are the parent or legal guardian of the person who was hurt, then you have standing to bring a lawsuit. What happens if your own negligence contributed to the animal bite or attack. 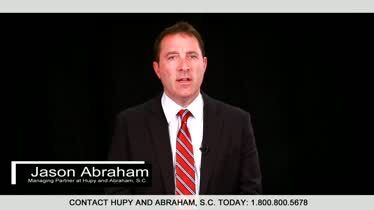 As long as you were not committing an unlawful act that directly contributed to your injury, you may be able to recover damages for your dog bite injury. What witnesses may be important to your case. People who saw the dog bite or attack take place or witnesses who can testify about your medical condition or damages may be relevant to your claim. How dog bite settlements work. Once you agree to a settlement, that amount is very likely to be all of the damages that you may recover for your injuries. Accordingly, it is important to know how to effectively negotiate with insurance companies to get the full settlement you deserve. If you need an attorney. An experienced Iowa dog bite lawyer can make sure that all of your rights are protected and will fight for the recovery that you deserve. Additionally, you should know what special steps to take if your child has been hurt by a dog. Medical costs. This includes all emergency care, scheduled surgeries, reconstructive surgeries, medications, doctors’ appointments, and other healthcare costs. Lost income. If you were unable to work because of your injuries, then you may recover for the income you were unable to earn. Other expenses. Any out-of-pocket costs related to your injury should be compensable. Pain and suffering. The financial value of your physical pain and emotional suffering should be included in your recovery. In some limited cases, a close relative such as a spouse may also be able to recover for emotional suffering if that relative witnessed the bite or attack and meets the other legal requirements for a bystander claim. Our lawyers have more than 200 years of combined legal experience. We know how to advocate for dog bite victims and to get them the unique recoveries that they deserve for their pain, for their scarring, and for the other damages that they incur. Our lawyers have recovered damages that exceed insurance policy limits in multiple dog bite cases. We are passionate about fighting for justice for each and every client whom we represent. To find out more about how we may be able to help you if you, or your child, has been hurt by a dog in Iowa, please call us directly at 1-800-800-5678 today to schedule a free, no-obligation consultation. A Law Firm That Gives Back to the Community When looking for a law firm to entrust your case to, make sure the law firm gives back to the community and understands the importance of their clients. 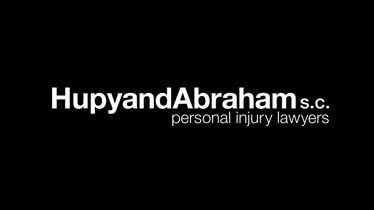 Hupy and Abraham Office Locations At Hupy And Abraham we are available to clients 24 hours a day, seven days a week at any one of our eleven offices.